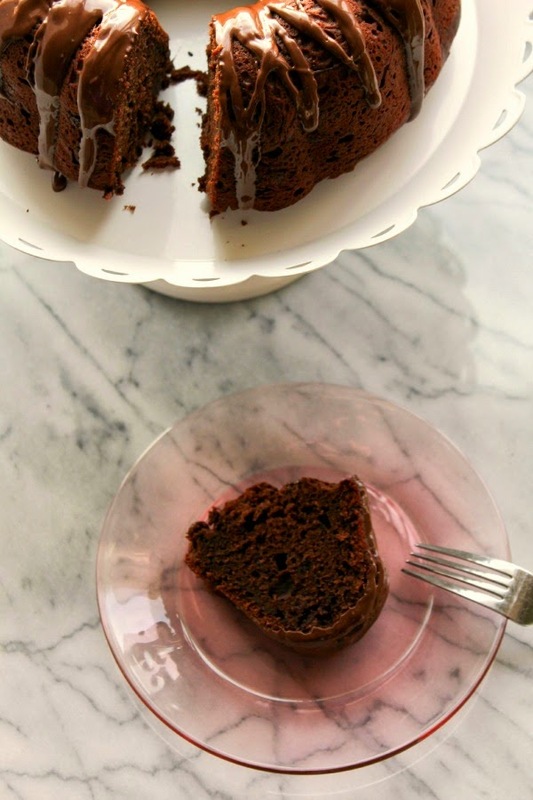 Delicious and decadent, this beautiful Bundt cake is minty, chocolaty, and perfect for Spring! Do you love Girl Scout cookies as I much as I do? Come on, fess up. I know you do! I don't think I even know anyone who doesn't like them. I always look forward to this season so I can stock up on these delicious gems. My favorites are Thin Mints, Samoas and Tagalongs. My newest creation, this beautiful Bundt cake, was inspired by the Thin Mint. A deep, rich chocolate cake infused with peppermint extract, plus some milk chocolate chips for good measure. Sounds good, right? 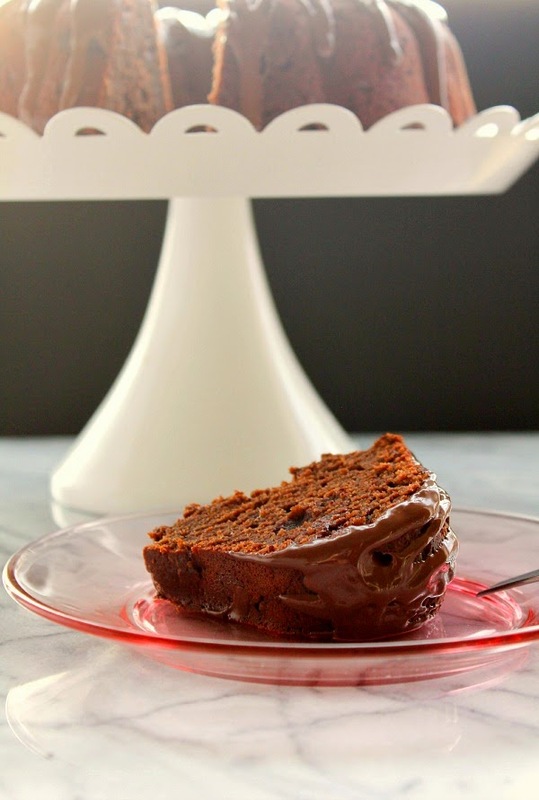 This cake is pretty simple to make, and you should have most of the ingredients already in your pantry. Peppermint extract can be found in the baking aisle of your local grocery store, close to all the spices. Preheat the oven to 325 degrees. Spray a 10-cup Bundt pan with baking spray and set aside. In a medium bowl, whisk together the flour, cocoa powder, baking powder, baking soda and salt. In a separate bowl, whisk the eggs, yogurt, peppermint and vanilla together. In the bowl of a stand mixer, beat the butter until light and fluffy. Reduce the speed to low and add the sugar, beating until blended. Add in the eggs, one at a time, scraping down the sides of the bowl as needed. Slowly add the dry ingredients to the mixer, alternating with the wet ingredients, until just blended. Fold in the chocolate chips. Pour the batter into the prepared pan, spreading the batter evenly throughout. Bake for about one hour, or until a cake tester inserted into the center of the cake comes out clean. Transfer the pan to a wire rack and cool for 20 minutes. Invert the pan onto the rack and let the cake finish cooling completely. Add the chocolate wafers to a medium bowl and microwave on high for one minute. Stir and continue heating in 30 second increments until the chocolate is smooth. Drizzle the glaze all over the top of the cooled cake. Slice and serve. What's your favorite Girl Scout Cookie? 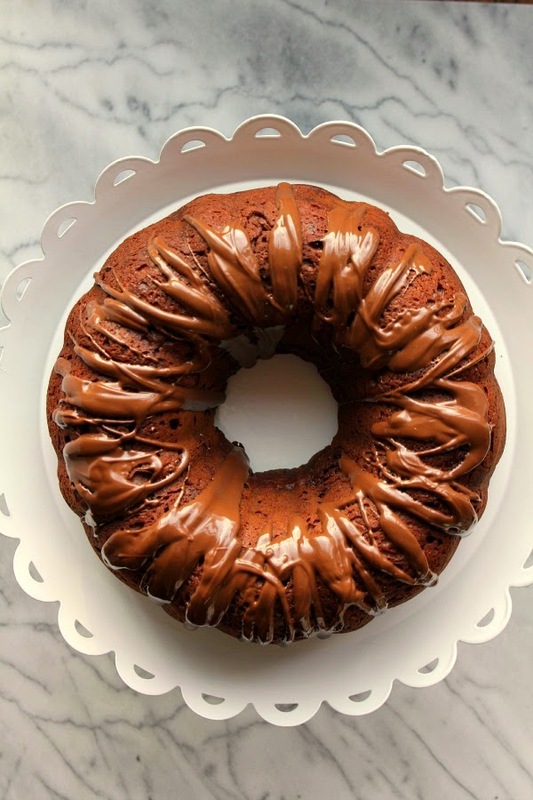 This month’s Bundt Bakers theme is Girl Scout cookie inspiration. 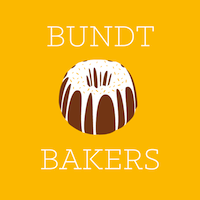 We have a great lineup of recipes for beautiful and delicious bundt cakes. Check out the list below to get all the recipes! Thanks to Kelly of Passion Kneaded for hosting this month.